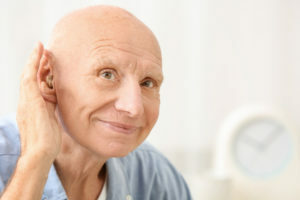 Beside the general decline in health, there are a few seemingly innocuous yet concerning conditions that creep up on aging people, such as the gradual loss of hearing that can have far-reaching consequences if left unaddressed. It is important to adapt and look for appropriate solutions for every circumstance that might be impacted by hearing impairment, and this includes the use of a medical alert system. Not all medical alert companies have the equipment or service to accommodate hearing difficulties, but luckily LifeFone is among the few that do. First and foremost, trained operators are key. Emergency responders employed by LifeFone are skilled and not only speak in a loud, clear voice when answering an emergency alert but can also see information about the client as soon as the call is made, including any possible hearing difficulties that they may suffer from. Operators will then be able to act and speak accordingly, assessing the situation in a professional manner even if the person in need of help is unable to easily reply to questions. Depending on the kind of lifestyle your loved one leads, LifeFone has an appropriate solution to satisfy every need. For the less active, hearing-impaired people, the At-Home Cellular unit is the most suitableoption. Besides the obvious benefits the product has compared to a landline unit – the latter of which working only in a single, fixed location with a landline connection – this at-home system also boasts features that make it ideal for the hearing impaired. It has an ultra-sensitive microphone and an option to raise the speaker’s volume as much as needed. Other than that, easily noticeable lights and loud beeping indicates whenever an emergency call is made, so even if the person does not have a hearing aid or if the impairment is severe, they will still be able to notice whether or not contact with the help centre has been successfully made. Another great choice, especially for seniors enjoying a more active lifestyle, is to opt for LifeFone’s Voice in Necklace product that is equipped with two-way communication, ensuring that the speaker is never far from the ear and can be easily lifted even closer if needs be. While LifeFone does everything in its power to accommodate the needs of clients with hearing difficulties, there are a few easy safety precautions you and your loved one can take to minimize the danger as well as the reduce the possibility of a false alarm due to their hearing difficulties. While it may seem obvious, it is important to make sure that a doctor assesses the condition of the person properly since in some cases hearing impairments can be treated, especially if caught in time. In other situations a hearing aid is enough to solve much of the problem. LifeFone’s systems don’t interfere with hearing aids. If one is in use, then it should be worn whenever possible, and if taking it off is unavoidable such as when bathing or sleeping, then it should always be the very last thing to be removed. And because LifeFone’s medical alert pendants are waterproof, it is important to wear them in the tub or shower and enjoy the sense of freedom that a medical alert system provides.